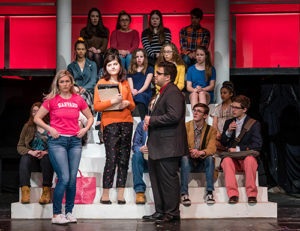 The Un-Common Theatre Company continues our 39th season with our Spring Production of Legally Blonde, the story of Harvard’s beloved blonde who takes the stage by pink storm in this fun, upbeat story of self-discovery. 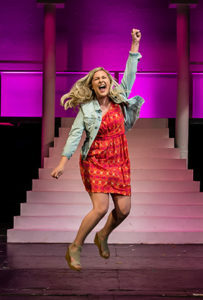 A fabulously fun award-winning musical based on the adored movie, Legally Blonde, follows the transformation of Elle Woods as she tackles stereotypes and scandal in pursuit of her dreams. 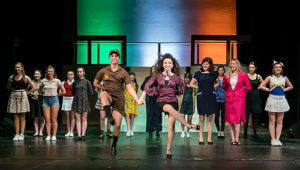 Action-packed and exploding with memorable songs and dynamic dances – this musical is so much fun, it should be illegal! 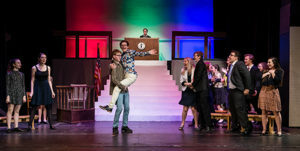 Elle Woods appears to have it all. Her life is turned upside down when her boyfriend Warner dumps her so he can attend Harvard Law. Determined to get him back, Elle charms her way into the prestigious law school. 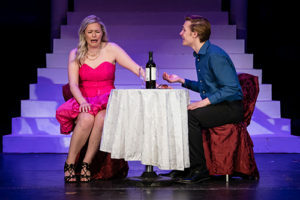 While there, she struggles with peers, professors and her ex. With the support of some new friends, though, Elle quickly realizes her potential and sets out to prove herself to the world. 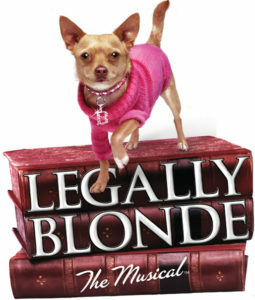 Legally Blonde is presented through special arrangement with Music Theatre International (MTI). 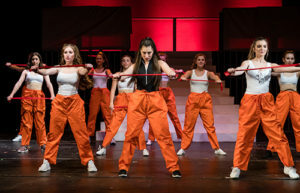 This program is supported in part by a grant from the Mansfield Cultural Council, a local agency which is supported by the Massachusetts Cultural Council, a state agency.